I just got this great string of Titan Paracord. This is a great military grade paracord that is really high quality and durable. I use this for a lot of different projects that I need rope or cord for. It’s very heavy weight and does a great job of hold objects and keeping it’s shape and form. It comes in different colors, I have a neon pink color which I really like. It looks great, it’s bright, and you can see it easily. This paracord can hold over 600 lbs! There are so many things you can do with this cord, I keep it in my tool box, one in the pantry, and even one in the car (just in case)! Very easy to use and works great! ✔ PARACORD STRENGTH > 620 LBS. U.S. Veteran-Owned Business. Proud Supporter of the Wounded Warrior Project. ✔ PERFECT CORD FOR – Home/Auto Use, Emergencies, Camping, Survival Kits, Disaster Prep, Bug-Out Bags, Crafting. ✔ READ OUR REVIEWS – Trusted by U.S. Veterans, Military Institutions, and Outdoor Enthusiasts Worldwide. ✔ GUARANTEED QUALITY – 100% Satisfaction Guarantee. Genuine MIL-C-5040-H, Type III, 100% Nylon, 550 Paracord. 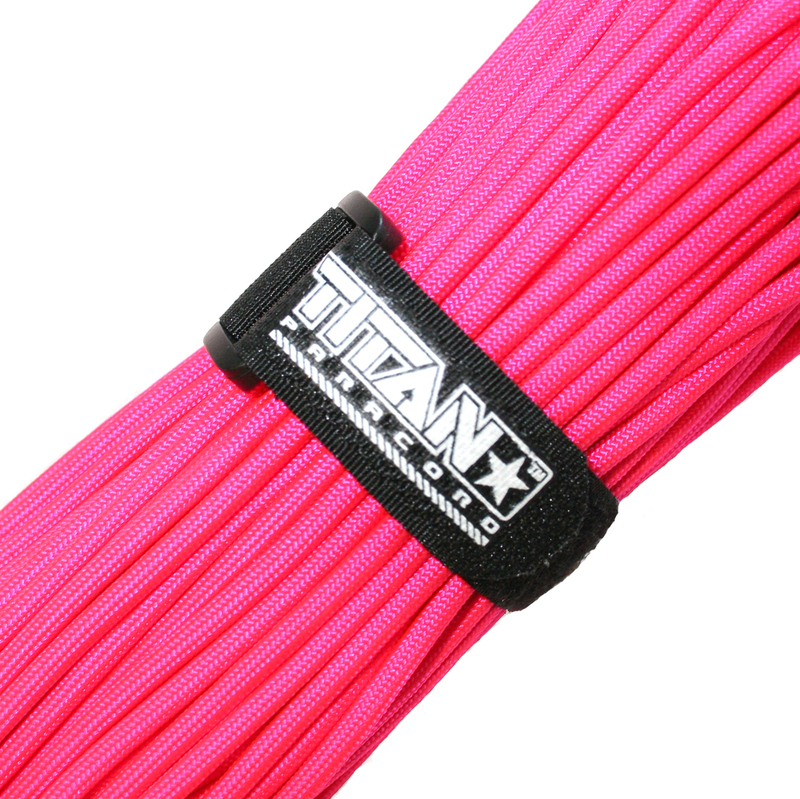 You can purchase Titan Paracord on Amazon!